Opens: 21st November 2018. Closes: 11:59pm on 27th November 2018. 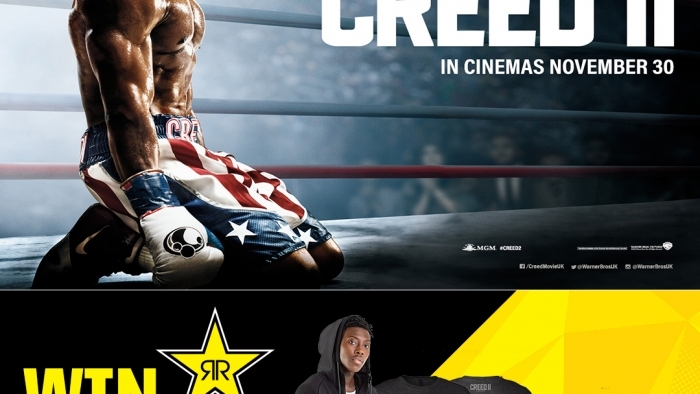 Entry: Enter via Facebook by (A) liking the promotional post and (B) commenting on the promotional post with the name of the actor that plays Rocky Balboa in Creed II. 1 entry per Facebook profile. Open to UK residents aged 16+ only. Winner: 1 winner. Selected at random from eligible entrants & notified via Facebook Direct Message on 28th November 2018. Winners must provide us with their name, age, and postal address. If a winner does not reply to our Direct Message within 7 days, we may select an alternate winner. Note to entrants: As we will be notifying the winner using Facebook Direct Message, please look out for Direct Messages in your Facebook inbox and message requests inbox (which is accessed through your main Facebook inbox).